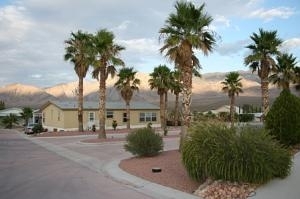 A well maintained park with amazing home ownership opportunities.Our manufactured home park is quaint yet customizable. Phase 1 of our project is under way and we will continue to expand into the next phase with additional housing opportunities. Our community club house and pool will be a prime area for the community to socialize and enjoy the beautiful park and perfect weather of Littlefield, Arizona. We can help you find your perfect plot and work closely with you to do real time customization. Park manager David Fenn is a dealer with Skyline (visit www.skyline.com ) and can provide the best pricing, information on floor plans, and work closely with you to make your perfect affordable home a reality.